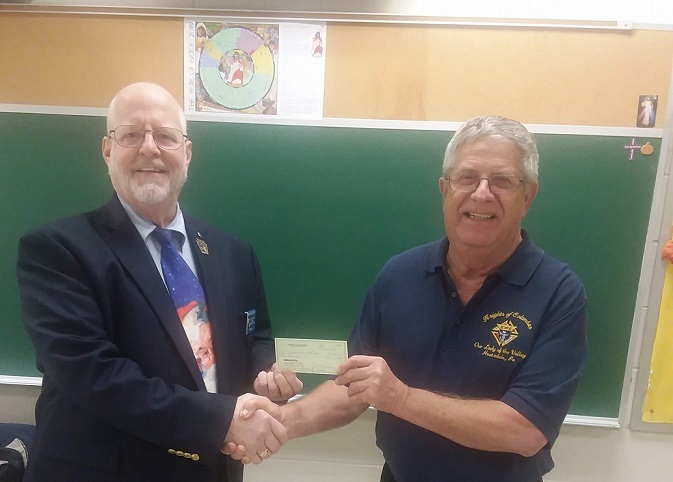 The Pennsylvania State Council of the Knights of Columbus has awarded a monetary donation to the Our Lady of the Valley Council No. 10376 of Houtzdale to bolster the council’s Kover For Kids project. The project raises money to buy and confidently distribute warm winter articles of clothing to elementary school children at local school districts. Donations are being accepted and can be forwarded by making a call to Jack Archer at 814-378-5624.